Constantine (Gus) Chamales’ grandparents immigrated from Greece to America in the early 1900’s. His father’s family (Chamales/Mihalareas) was from Kosmas in the mountains of South Kynouria on the Peloponnese, approximately 28 kilometers east of Sparta. His mother’s family (Caravaselis/Christopoulos) was from Tripoli, 57 kilometers north of Sparta. 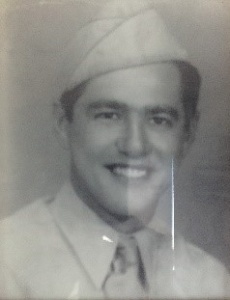 Gus’ paternal grandfather, Louis Chamales, immigrated with several brothers settling in Chicago. His older brother Tom bought a speakeasy in the Green Mill Gardens on the North Side and the business thrived during the 20’s and 30’s. Well-known gangsters including Al Capone and Machine Gun McGurn were among their clientele. Louis worked for his brother until he married Penelope Mihalareas, a much younger woman from the same village in Greece, through an arranged marriage courtesy of Penelope’s older brother, Mike. 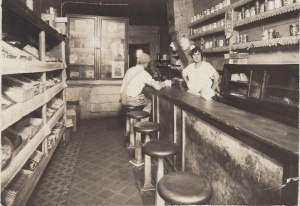 The two opened their own diner called “The Coffee Pot” in South Chicago in the late 20’s from which they sold coffee, sandwiches and boot leg whiskey during prohibition. Penelope behind “The Coffee Pot” bar. Boot leg whiskey was hidden behind center shelf cabinet. Louis was a hard man, very strict, and almost twice Penelope’s age when they were married. They bought a home on the South Side at 3208 East 93rd Street, a few blocks from where their diner was located, and together they had two children, a son George (Gus’ father), and a daughter, Irene. 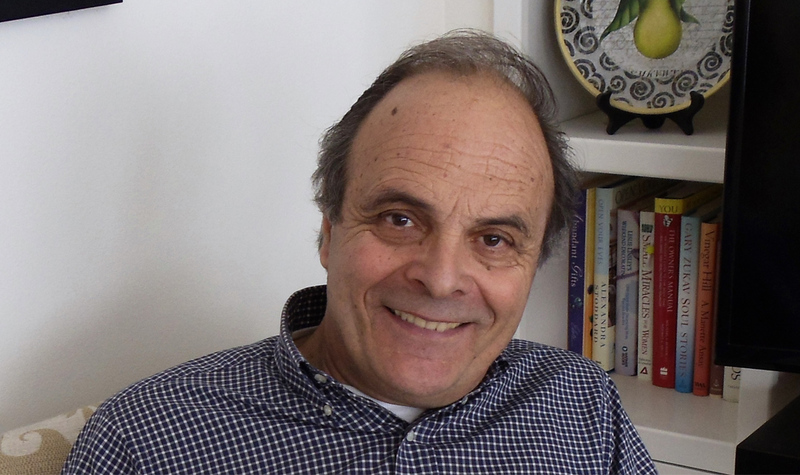 Gus’ maternal grandfather, Gus Caravaselis (he later shortened his name to Carres), immigrated with two brothers at a young age and lived with an uncle in Gary, Indiana. He and his brothers shined shoes around the city and saved their money to bring their mother to America. 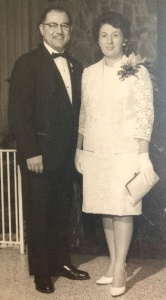 After several years they raised enough money for her trip and upon her arrival they moved to Chicago where the brothers owned and operated a poolhall, boxing gym, and other businesses. When WWI started Gus (pictured at right) eventually joined the Army and was assigned to 7th Squad, Machine Gun Company, 16th Infantry, 1st Infantry Brigade, American Expeditionary Forces. This would later become the 1st Infantry Division. 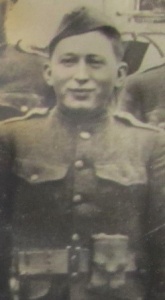 He was a machine-gun squad leader and received a Silver Star Citation for his actions during the Meuse-Argonne and St. Mihiel Offenses. 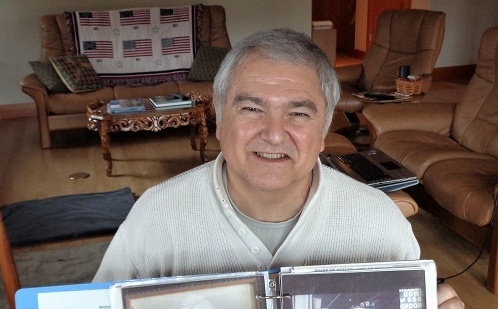 After the war he returned to his family in Chicago and through an arrangement by his mother with a friend back in Tripoli, his future bride, Athena Christopoulos, immigrated to America. 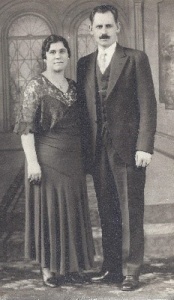 Shortly after her arrival Gus and Athena (Pictured at left) were married and lived with Gus’ mother and a brother in an apartment in Chicago. After several months of maintaining a household for four adults Athena insisted that she and Gus move into their own home, and Gus complied with her wishes. They had two daughters, Mary (Gus’ mother) and Tessie, and later a son named Nick. 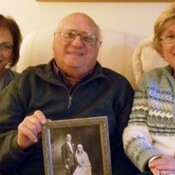 Their daughters worked in the family businesses as teen agers until they married. Their son Nick died at a young age. Gus and Athena lived in Chicago until their deaths in 1974 and 1985 respectively. The unit spent a lot of time in the field conducting maneuvers, gunnery training, and patrolling the border for weeks at a time; thus, Ingrid went to work at the Schweinfurt Army Medical Clinic as a medical secretary. That would ignite a flame of passion for medicine and lead to a very successful career as an obstetrician/gynecologist. After completing their initial assignment in Germany, they moved to Fort Benning, GA. Gus attended the Infantry Officer Advance Course in preparation for future command and staff assignments, and Ingrid embarked upon the long road of studying and preparing to apply for medical school. 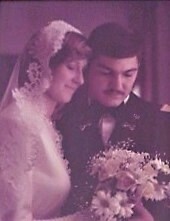 The couple moved to Fort Bliss, Texas in the summer of 1980 where Gus was assigned a three-year tour of duty with the 3rd Armored Cavalry Regiment (ACR). Gus served as the Operations Officer in the Support Squadron, and then as the Commander for Headquarters and Headquarters Troop, and I Troop, in 3rd Squadron, 3RD ACR. Ingrid attended the University of Texas, El Paso (UTEP) where she enrolled in science courses that would help her prepare for the Medical College Admission Test (MCAT). 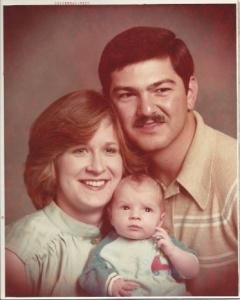 During this time, they were also blessed with their first child, Steve, who was born at William Beaumont Army Medical Center in El Paso, Texas in March of 1982. Ingrid continued her studies and was eventually admitted to the University of South Dakota Medical School. 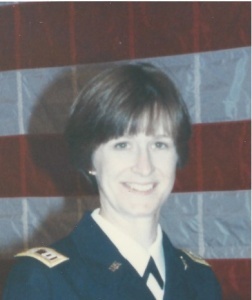 She then was awarded the Army’s Health Professions Scholarship Program (HPSP), whereby medical students served as officers and physicians in the United States Army upon graduation. 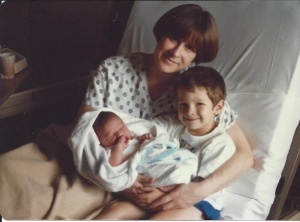 Ingrid began the laborious undertaking to becoming a physician in the fall of 1983. Gus completed his tour at Ft. Bliss, TX in December 1983 and then joined Ingrid and Steve at the University of South Dakota. 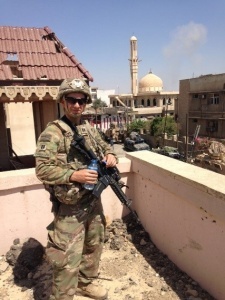 Gus was accepted into an Army program that allowed him to complete an advanced degree and in return he would serve as an assistant professor of military science in the Reserve Officers Training Corps (ROTC) program for three years at that same university. He chose to work on a master’s Degree in political science/international relations at the same university where Ingrid was attending medical school. Living in South Dakota enabled Ingrid and Gus to be close to their parents who lived a few hours away. 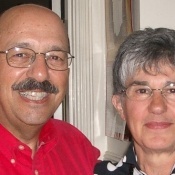 Their parents were thrilled to have their grandchild close by and their years of parenting experience proved extremely beneficial to a young couple struggling to meet their military obligations, go to school, and raise a child. Two young boys and demanding work schedules led them to hire the first of three live-in nannies who cared for the children and managed the household. These nannies would move with the family to two additional stateside locations, and one overseas tour to Germany. Ingrid graduated from medical school in 1987 and was promoted to the rank of captain. Shortly thereafter she moved back to Ft. Bliss, TX and began her internship year at William Beaumont Army Medical Center. Gus still had a year of obligation left on his ROTC assignment, so he remained behind with the two boys and the nanny for an additional 10 months. 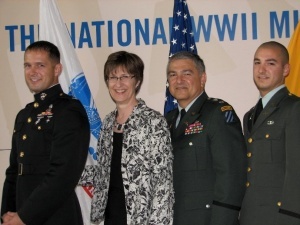 It was very difficult for Ingrid to leave her children and her husband in South Dakota, but the army physician’s internship year was consumed by very long hours and very little sleep. The time went by quickly and in May of 1987 Gus, the boys, and the nanny moved to Texas and reunited the family. Gus was now a major and spent his first two years in Texas working as the Chief of Inspections at the Ft. Bliss Inspector General’s office while Ingrid began a residency program in Obstetrics and Gynecology. Upon completion of his second year as an IG, Gus was reassigned as the Operations Officer for the 2nd Squadron, 3rd ACR. He always considered himself fortunate to have served with great officers and non-commissioned officers in the cavalry and the command team of the 2nd Squadron, Lieutenant Colonel (LTC) Ed O’Shaughnessy and Command Sergeant Major (CSM) Hubert Swann, ranked among the very best. 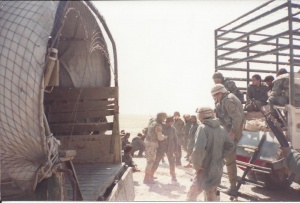 Two months later the unit deployed to Saudi Arabia for Operation Desert Shield, and after retrieving their equipment at the port of Al Jabail, the entire Regiment moved out to the desert. 3rd ACR encamped in the desert with the mission of guarding south of the Saudi/Kuwait border while the remainder of the US forces deployed into Theater. After several months, the senior officers from the Regiment were summoned to the Headquarters and told that Operation Desert Storm and the air war would commence at 0200 hours the following morning. Later that day the 3RD ACR began a convoy movement approximately 150 kilometers to the west led by the 2nd Squadron. The advanced guard led by Gus and CSM Swann moved near the border with Iraq and selected an assembly area for the squadron to occupy. The assembly area facilitated the disbursement of its troops along a protective screen line south of the border, while the remainder of the Regiment prepared for the ground war. 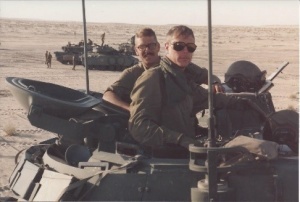 When the ground war began LTC O’Shaughnessy (pictured right: LTC O’Shaugnessy & his Bradley gunner) led the 2nd Squadron as it attacked approximately 80 kilometers north into Iraq, and then reoriented its attack to the east heading toward Basra. It encountered sporadic resistance the first couple days until it approached the Ramallah air field and Oil Refinery. There it encountered dug in infantry, artillery and tanks from the Iraqi Republican Guard. The battle that ensued lasted several hours with the squadron commander directing the fight over a wide front with three armored cavalry troops attacking on line. While some Iraqi soldiers surrendered quickly, others fought with determination. As the smoke from the battlefield cleared and the firing stopped, the men of the 2nd Squadron saw many Iraqi soldiers waiving white flags, and dead Iraqi soldiers scattered around the battlefield. This was the largest battle for the 3rd ACR and it resulted in the destruction of a defending Republican Guard Infantry Battalion in prepared positions, reinforced with artillery and tanks. The Squadron captured over two hundred prisoners of war (pictured above: 2nd Squadron processing POWs) and a large logistical base with hundreds of tons of supplies and ammunition. The Squadron remained in that area for several days destroying the captured supplies and burying the Iraqi dead. The Squadron had to remain vigilant in the event of a counter attack by enemy forces so LTC O’Shaughnessy directed Gus to conduct a reconnaissance forward of the Squadron with a small armored force. That reconnaissance resulted in the capture of an Iraqi Battalion Commander and his staff, and several Iraqi vehicles. One of those vehicles was a Russian T-72 tank (pictured at right: Gus and his Bradley crew with captured T-72 tank) which was towed back to friendly lines, and later shipped back to the States as a war trophy. The tank was given to Holliman Air Force Base in New Mexico in appreciation for their A-10 Warthog close air support during the war. The Regiment was later directed to withdraw back to Saudi Arabia and destroy any Iraqi equipment it encountered along the way. As the 2nd Squadron crossed over the Saudi border late in the evening Gus played the William Tell Overture was over the command radio frequency, and many of the combat vehicles began firing off their pyrotechnics into the air. It was a glorious firework display of star clusters and parachute flares of all colors from the many vehicles belonging to the squadron. Afterward many prayed and thanked God that they survived the war and prayed for their comrades that were killed. A few weeks later an award ceremony was held to recognize the accomplishments of the soldiers in the 2nd Squadron, the most highly decorated unit in the 3rd Cavalry Regiment. LTC O’Shaughnessy and CSM Swann presented many awards for valor to soldiers of the 2nd Squadron. Gus was awarded an Army Commendation Medal for valorous action while rescuing wounded Iraqi soldiers during an engagement at revetments in the desert, and a Bronze Star for valorous action during the battle at the Rumallah Air Field. 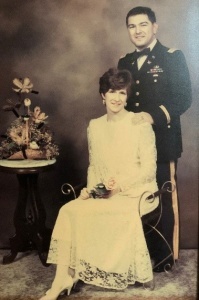 The family remained at Ft. Bliss until 1992 when they were transferred to Ft. Irwin, California, the home of the Army’s National Training Center (NTC). The family lived on Ft. Irwin and the boys attended elementary school on the installation. 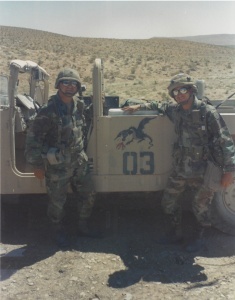 Ingrid served as the Chief of OBGYN at the Ft. Irwin Medical Clinic while Gus served as Dragon 03, an Observer/Controller on the Dragon Live Fire Team (Pictured right: Gus and Marco Vialpando at the NTC in the Mojave Desert). Living on a small installation in the middle of the desert was a great experience and the boys played with their friends in the largest “sand box” anyone could ever imagine. After approximately 18 months, the family was reassigned to Germany in December 1993. They lived in Schweinfurt for their first two years where Gus served as the commander of 3-4 Cavalry in the 3rd Infantry Division, and Ingrid was the Chief of OBGYN at the military hospital in Wurzburg Germany. 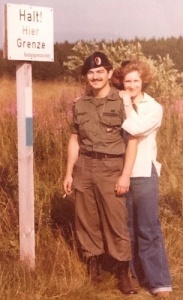 After completing his command tour the family moved to Heidelberg, Germany where Gus was the Deputy Crisis Action Team Chief for United States Army Europe during the Army’s deployment into Bosnia, and Ingrid was a member of the OBGYN Department at the Army hospital in Heidelberg. This assignment was to be their last so after 9 years on active duty Ingrid resigned her commission in September 1996, and Gus retired on 1 February 1997 after 21 years of service. The family then returned to their home State of South Dakota where they began the next chapter of their lives. South Dakota is a great place to raise a family and Ingrid and the boys adapted quickly to civilian life. Ingrid went to work for the Brookings Medical Clinic in Brookings, South Dakota, and for several years was the clinic’s only OBGYN physician. Her reputation as a physician became well known and women would drive from a hundred miles around to see her for their medical care. She was an outstanding physician and was greatly respected and admired by the Brookings community. Gus was a stay at home Dad until Steve graduated from Hight School, much to the chagrin of both boys. On more than one occasion the boys expressed a desire to have their nanny back and for their Dad to get a job, but instead Gus became a Boy Scout leader, soccer coach, and hockey dad, and kept a close eye on both. After Steve went to the Naval Academy, Gus joined Greenleaf Assisted Living, Inc., one of the larger independent assisted living corporations in South Dakota. 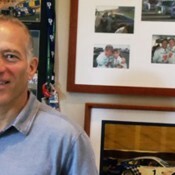 After working for the corporation for a few months he was offered the opportunity to become a partner and he became the company’s chief operations officer. The corporation had five assisted living centers in eastern South Dakota and Gus managed the company for five years. During this time several of the owners decided to branch into the assisted living business in Minnesota and Gus, along with four others formed Minnesota Greenleaf Assisted Living, Inc., and opened a facility in Thief River Falls, MN. After both of their sons went off to college Ingrid and Gus lived as empty nesters in Brookings. A former Army colleague of Ingrid’s contacted her in 2009 and asked if she would be interested in working for the Department of the Army as a civilian physician at Madigan Army Medical Center at Ft. Lewis, WA. About this same time their older son was stationed at the Marine Corps’ Mountain Training Center in California, and their younger son was attending the U.S. Army’s Ranger School, with follow-on orders to Ft. Lewis, WA. Steve already had one Iraq deployment and they suspected that Kris would soon deploy as well. 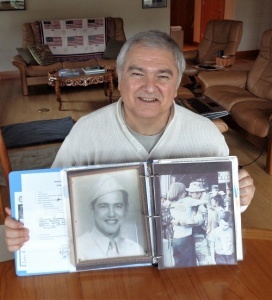 Gus and Ingrid saw this as an opportunity to be closer to a military community that understood the stress of sending family members to war, and for Ingrid to work once again with military physicians and soldiers. They decided they would try it for five years, and afterward they would return to their home in Brookings, SD. In September of 2009 they moved to Gig Harbor, Washington, and after living in an apartment for nine months, they purchased an old cabin. A year later they tore down the cabin and built a new home, where they have lived ever since it’s completion in 2012. 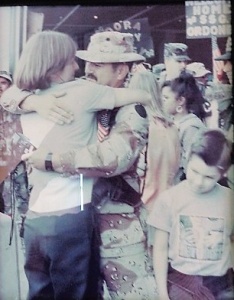 Kris deployed to Iraq in 2009 so the hope of being close to their sons was short lived. 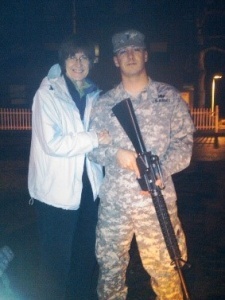 He returned in 2010 and one year later, in 2011, the Army transferred him to Ft. Bragg, NC. 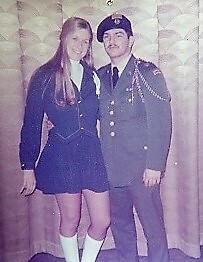 (Pictured left: Ingrid and Kris as he was preparing to depart for Iraq.) Six months later the Marine Corps transferred Steve to Camp Legeune, NC. Both boys were now serving in the military on the other side of the country while Ingrid and Gus were putting down roots in Washington. Ingrid and Gus loved South Dakota but winters there are cold and miserable. After their first winter in Washington Gus was no longer interested in moving back to South Dakota, and they were in Washington to stay. Steve served a second tour in Iraq and then one in Afghanistan. After commanding three different infantry companies in the Marine Corps with one in Iraq and another in Afghanistan, he exited the Marine Corps in 2014. As of this writing in 2018, he resides in the Ballard neighborhood of Seattle and is employed by a tech company in California. He serves today as a Major in the United States Marine Corps Reserve. 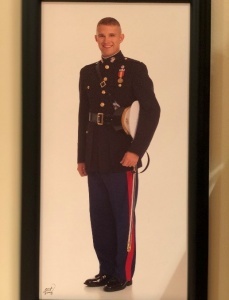 Kris is still serving as a Captain in the United States Army. 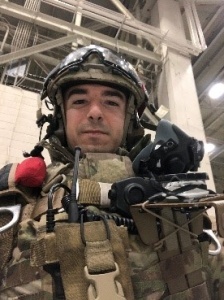 He commanded an Airborne (Paratrooper) Infantry Rifle Company at Ft. Bragg, NC, an Airborne Cavalry Headquarters Troop in Iraq, and the Headquarters Detachment for the Airborne and Special Operations Test Directorate at Ft. Bragg, NC. He will be attending advanced schooling in 2019 and subsequently will serve wherever the Army needs him. Ingrid is still serving with the Department of Obstetrics and Gynecology at Madigan Army Medical Center on Jt. Base Lewis-McChord in Tacoma, WA. She will be retiring in June of 2019 after over 20 years of combined government service, and an additional 13 years of civilian medical practice. Gus is semi-retired and still an owner in Minnesota Greenleaf Assisted Living, Inc. He tells people that his full-time job is keeping the home fires burning and doing everything he can to keep Ingrid, the love of his life, happy. Together they are active parishioners at St. Nicholas Greek Orthodox Church in Tacoma, WA. 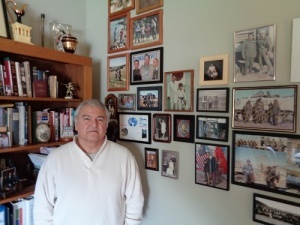 Gus serves the church as an administrator for its military ministry and as a member of the church council. Ingrid serves as a member of the Daughters of Penelope. They were married in the Greek Orthodox Church in 2011 and Ingrid was chrismated in September 2018.